After our first brew stop in Missoula and a bit of running around, the Harrington duo and their Korean counterparts were ready to hit up a brewery which additionally served up a nice meal. This lead the foursome to Tamarack Brewing Company. While they opted out of ordering a sampler (although, on second thought, they should of, if even only for it's beautiful presentation) each dinner ordered a pint and plate, filled to the brim with delicious eats. Highlights of dining at Tamarack Brewing Company include chicken sandwiches topped with brie, buffalo wings, pasta salads and more. But of course, the true joy of dining at this establishment are the brews. For the individual who has a difficult time choosing a beverage (or a meal for that matter) each main course on the menu includes a drink recommendation and can make ordering a tad easier, especially if one meal or drink seems to stand out - simply browse the menu until you find a counterpart! Wanting to chow down on the chicken and brie sandwich, Melissa was surprised at how satisfied her stout-porter-loving-tastebuds enjoyed the light and apricot-y Sip 'N' Go Naked. Being a lightweight and a cheap date, Hyunhee hardly made it through her Bear Bottom Blonde but was a bit more eager to down (the more potent, yet easier to sip) Sour Ale. 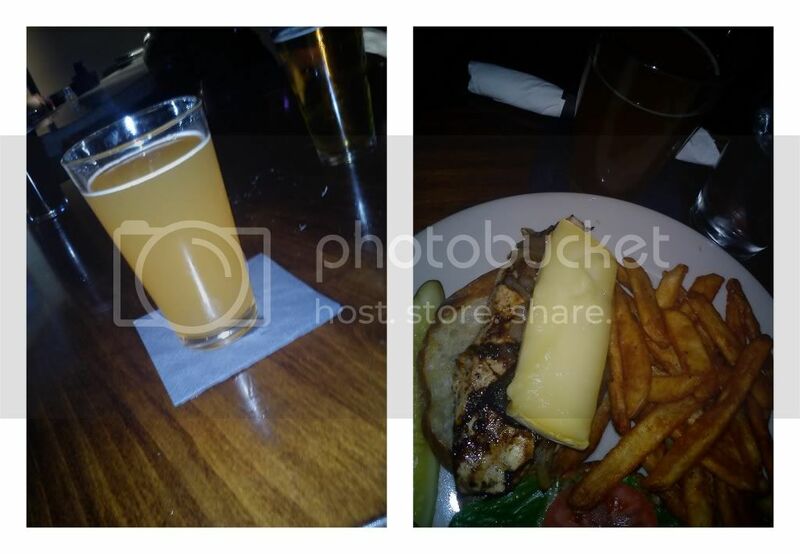 Overall, the trip to Tamarack's left each and every diner feeling satisfied and content in terms of beer and food!